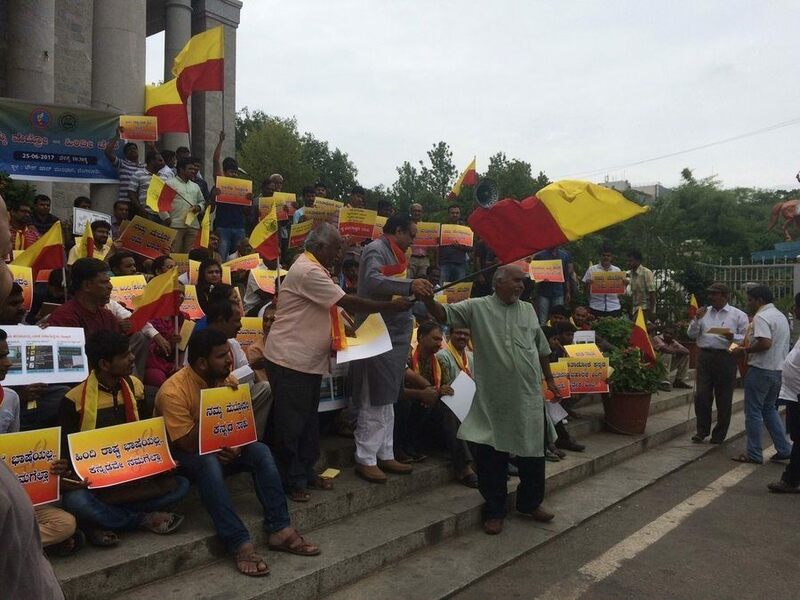 The state of Karnataka had an unofficial ‘Kannada flag’ since 1960, the red and yellow flag is familiar with the local people, and many Kannada activists also wear it as a shawl during agitations from decades. People of Karnataka hoist this flag on 1 November every year to celebrate the state formation day. For years, there has been a demand to recognize it as the state’s official flag. On Tuesday, the Karnataka state administration decision to form a nine-member panel to look into the demand has exploded into a major controversy ahead of the Assembly elections. Why Karnataka Want Its Own Flag? At the time, the state is fighting legal cases with all of its neighbors over sharing water from different rivers. Apart from the legal dispute over Cauvery, the state has clasped in similar disputes over the Krishna, Godavari and Mahadayi rivers. There is also a longstanding dispute over Belagavi district, which some want to be integrated with Maharashtra, this is also one of the reasons for such a demand. Karnataka has an unofficial red and yellow color flag which is used for cultural events as a symbol of Kannada Pride. There are three main Acts which oversee the matters of flags and flag hoisting. While it speaks of the National Flag and its protocol, the Acts remain silent on the issue of states can have its flag or not. It is a grey area. Since this is the case, there is no problem in Karnataka having its own flag. The only state in the country that is permitted its own flag is Jammu and Kashmir, which holds special status under Article 370 of the Indian Constitution. How Does The World Deal With This Kind of Matter? Most nations around the world that follow a federal system allow regional flags. Countries like the United States, Germany, Australia, and Myanmar allow different regions to have a different regional flag to show their distinct identity. The value of a local flag does not mean rebuff of the national flag. It is a concern of local uniqueness. Karnataka has already an official state verse, and there is a feeling that there is nothing wrong with having a state flag, having a state flag will not disrupt the unity and integrity of the country and will not reduce the stature of the national flag. The national flag will always fly higher than the state flag; there are no two ways about it. Most importantly, the Constitution of India does not ban such flags. Sadly, the discussion is not leading into account the diversity of our country but has only directed on unity. In a country like India, diversity is unity. Unity cannot have a strong base without diversity. Jai Karnataka Mathe! Jai Kannada! Jai Karnataka!